April is a time of year the time of year when seasons change. From winter to spring for some. From basketball to baseball others. From fiction to nonfiction for others. However, when seasons change, it doesn’t mean we throw out everything and start all over again from scratch. We all have at least a few items of clothes that carry over from season to season. Athletes who play multiple sports know how to transfer certain skills from one season to another. Readers, too, take what they know from one genre and continue to read deeply in the next. Help students find the perfect books to get lost in, books where they can connect with and care about the stories by walking in the shoes of the characters. Support students with strategies for reading for deeper meaning--messages that go beyond the pages of the book, lessons that they take with them long after the read the final page. Curate our book collections to provide access to sets of books that lend themselves to compare and contrast. Gather up series books where students carry what they know about the character from one story to another, sets of genre books where they become familiar with how that kind of story goes, books from the same time period, books that share similar themes. Arranging books to support connections across texts helps them grow stronger and stronger as readers. Help students find the perfect books to get lost in, books where they can connect with and care about the content. 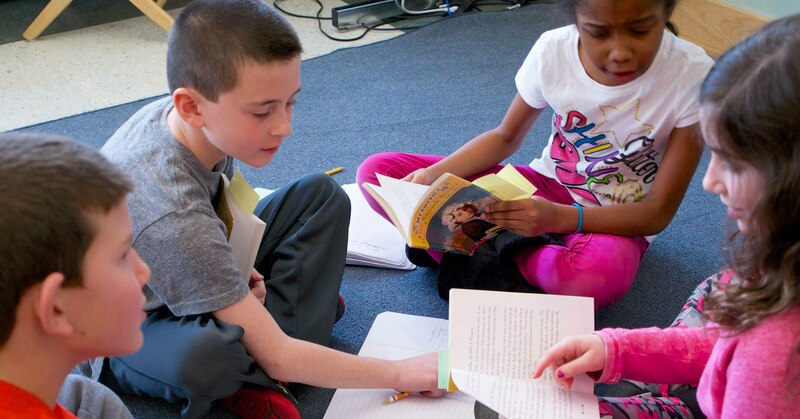 Support students with strategies for reading for deeper meaning in nonfiction--messages that go beyond the pages of the book, lessons that they take with them long after the read the final page. Curate our book collections to provide access to sets of books that lend themselves to compare and contrast. We can gather up nonfiction series books where students carry what they know about the topic from one text to another, sets of sub-genres or text structures where students can become familiar with how that kind of text goes, books from the same time period or topic, books that share similar central ideas or lessons--arranging books to support connections across texts helps students grow stronger and stronger as readers. In addition to this, we can explicitly help students understand that they can keep using all their strategies for strong reading. During read-aloud we can explicitly model how to take a habit or strategy familiar in fiction reading and apply it to reading nonfiction. (Nearly all the work we do in fiction has a parallel in nonfiction). Preview the text, looking at the cover, the blurb on the back, browsing the pages to search for clues to text structure and vocabulary. Pausing to summarize the text along the way, and rereading from time to time to firm up our understanding of the text, just like we do in fiction. Making a picture our minds as we read, reading closely for details that bring the picture to life in our minds. “Turn the picture into a movie,” just like we do when we read fiction. Read with expression and drama. In fiction we might call it a storytelling voice, in nonfiction we might call it a “teaching” voice or a “news reporter” voice. We can use anchor charts from previous units as well, to explicitly connect previous units to current units. Display old anchor charts right next to the new ones you are creating and highlight what’s new and what’s different. Create mini-copies of old anchor charts that students can continue to use in the current unit. Create a checklist based on old anchor charts, and give students a chance to check off the skills they can still practice in the new unit. Looking back at notes from fiction books to support comparing and contrasting nonfiction books they are reading with fiction books they may have read earlier in the year. Creating new entries or charts for note-taking to push student thinking to connect fiction books to nonfiction books. 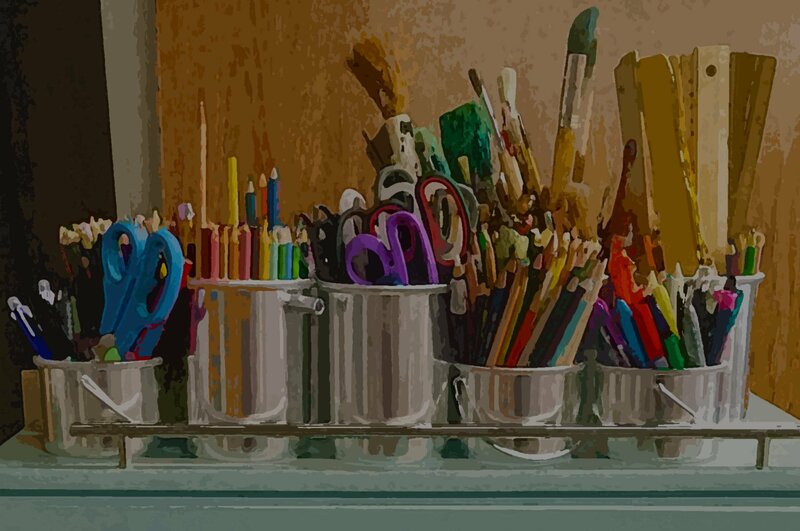 Prompts or sentence stems like “This reminds me….” or “In another book I read….” or “Earlier in the year I learned….” may help students do some reflection in their reading notebooks from time to time that connects old learning to new learning. This Wednesday join hosts Alexis Czeterco @AlexisCzeterko and Jess Mazzone @JessMazzone to chat about ways to build on the work of previous units to support nonfiction engagement and agency. Each Wednesday night at 7:30 pm EST the Teachers College Reading and Writing Project hosts a Twitter chat using the hashtag #TCRWP.